Born in Durham, England in 1873. MacDonald came to Canada as a teen with his English mother and Canadian father (1887). 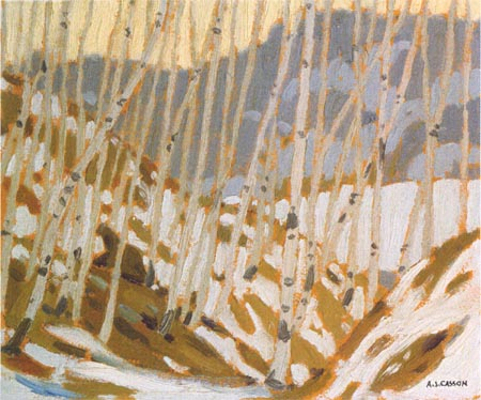 He started to study art in Hamilton and Toronto. 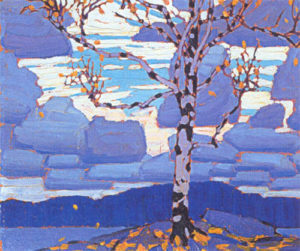 MacDonald worked at a Toronto commercial art firm, Grip Ltd., from 1895 to 1911. 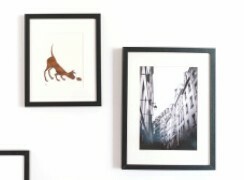 There he became the art director and is well known for his excellent commercial design work. 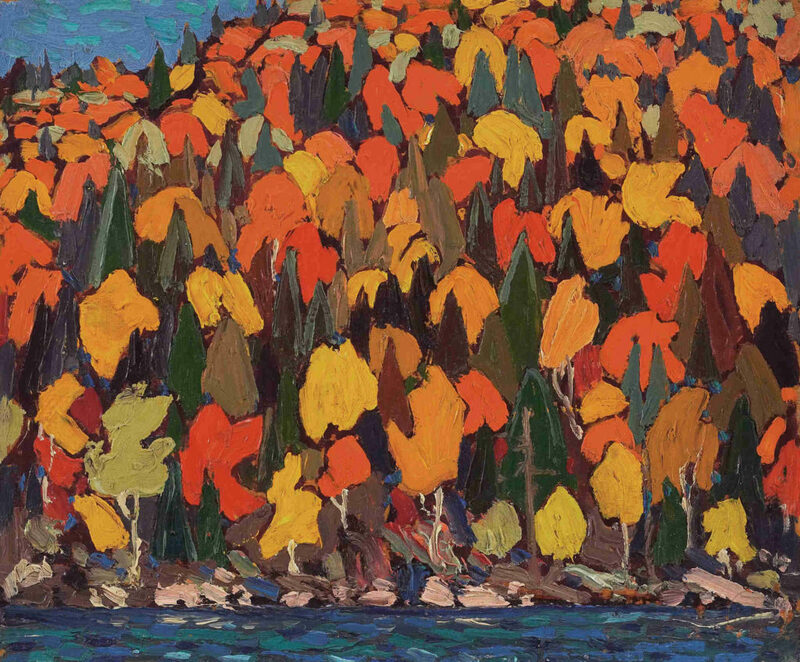 He supervised many artists including Frank Johnston, Tom Thompson, Arthur Lismer and Franklin Carmichael. 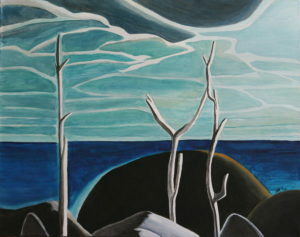 Mac Donald was the oldest and a founding member of the Group of Seven. 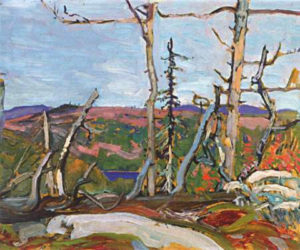 Tom Thomson was born near Claremont, Ontario and grew up in Leith, near Owen Sound. In 1907he joined an artistic design firm in Toronto where many of the future members of the Group of Seven also worked. 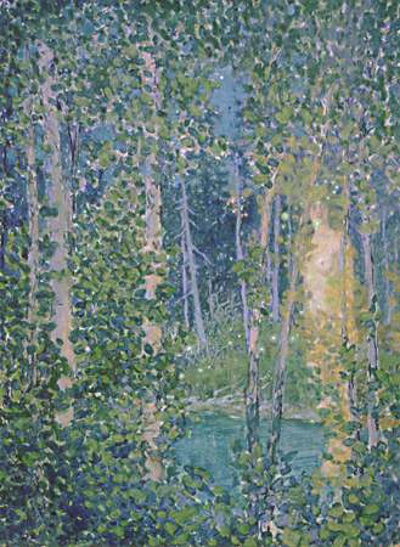 His first exhibition was in 1913. 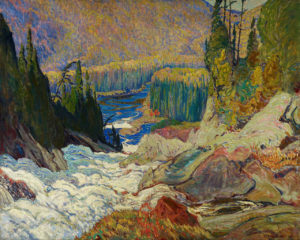 Beginning in 1914 he acted as a fire fighter and guide in Algonquin Park in Ontario. During the next three years he produced many of his most famous works, including “The Jack Pine and The West Wind.” Thomson disappeared during a canoeing trip on Canoe Lake in Algonquin Park on July 8, 1917, and his body was discovered in the lake eight days later. Franz Johnston born in Toronto in 1888, was a Canadian artist associated with the Group of Seven. As a commercial artist at Grip Ltd., he was involved with the circle of young artists working there, whose ideas about Canadian art led to the formation of The Group. 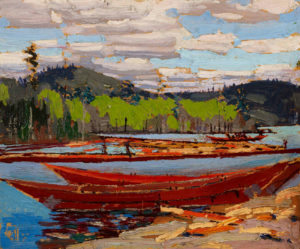 When he joined the firm around 1908, his fellow Grip workers included J. E. H. Macdonald and Tom Thomson, and later Arthur Lismer and Franklin Carmichael signed on. 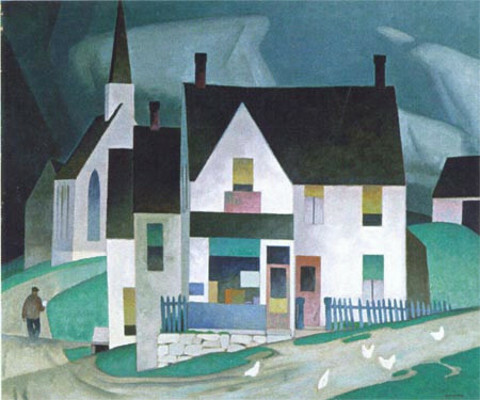 Lawren Stewart Harris was born in Brantford, Ontario into a wealthy family on October 23 1885. 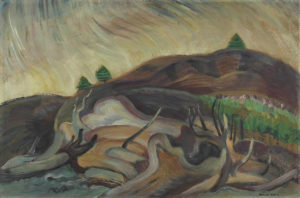 Harris was a Canadian painter and is best known as a member of the Group of Seven who pioneered a distinctly Canadian painting style in the early twentieth century. Alfred Joseph Casson was born in Toronto in 1898. At age 9 he moved to Guelph and again to Hamilton at age 14. 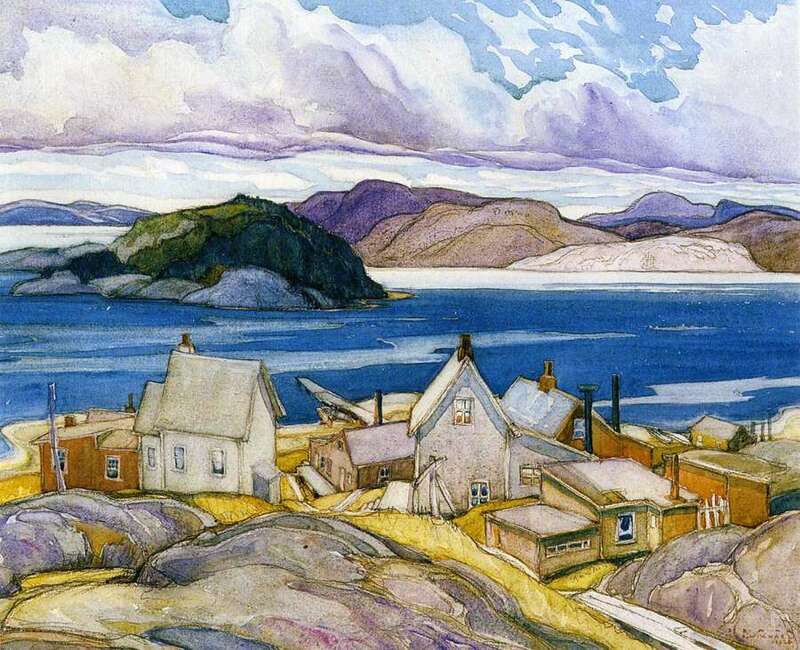 He left school early at age 15 to find work as an apprentice at a Hamilton lithography company. Casson studied art at Central Technology School while keeping his job. In 1917 he had his first public exhibit at the Canada National Exhibition. 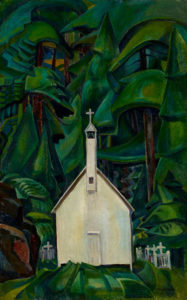 Emily Carr was born in Victoria, British Columbia, and moved to San Francisco in 1890 to study art after the death of her parents. 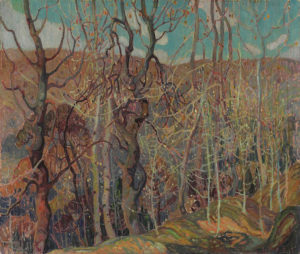 In 1899 she travelled to England to deepen her studies, where she spent time at the Westminster School of Art in London and at various studio schools in Cornwall, Bushey, Hertfordshire, San Francisco, and elsewhere. 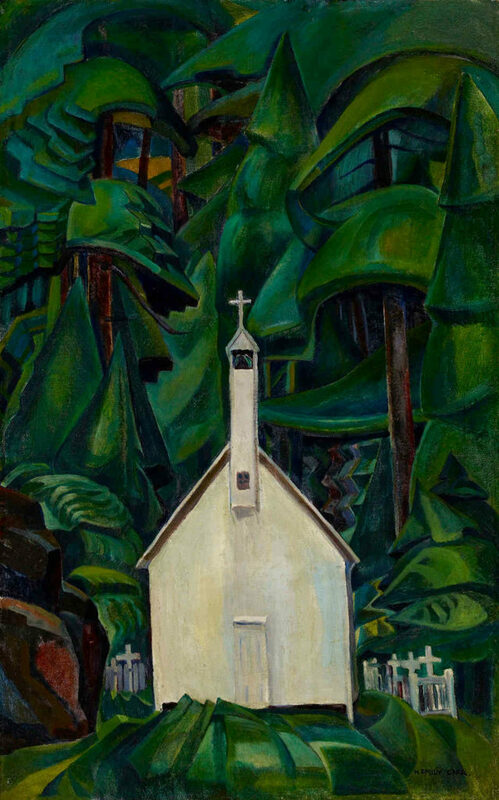 In the 1920s she came into contact with members of the Group of Seven (artists) after being invited by the National Gallery of Canada to participate in an exhibition of Canadian West Coast Art, Native and Modern. 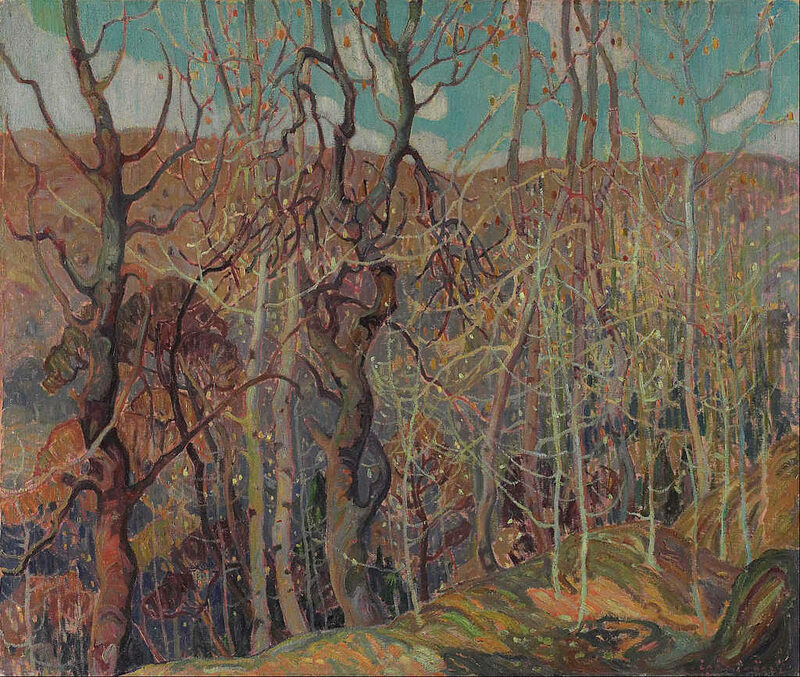 Franklin Carmichael was born in Orillia, Ontario in 1890.Carmichael arrived at Toronto when he was 20 years old and entered the Ontario College of Art in Toronto, where he studied with William Cruickshank and George Reid. 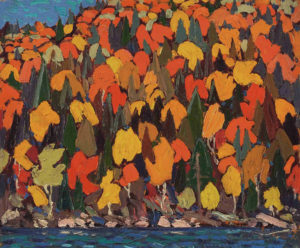 In 1911, he began working as an apprentice at Grip Ltd. for $2.50 a week. He then joined Tom Thomson and other painters who were training to be serious artists.